The league Management Company, LMC has charged Plateau United one million naira fine and the team will play three of her home matches at Ilorin Township stadium, Kwara for breaching the Framework and Rules of the NPFL during their Matchday one. Plateau United during her home match against FC Ifeanyi Ubah in Jos failed to provide adequate security for match officials leading to some of its supporters and unidentified persons assaulting the referees after the match. The said supporters threw objects and projectiles at the match officials as they attempted to leave the pitch after the game. Plateau United failed to comply with the fair play and sportsmanship principles as some of its officials allegedly assaulted the referees in a manner capable of bringing the league into disrepute. 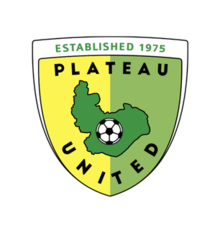 LMC wrote on twitter, “a fine of N1m for failing to provide adequate security has been imposed on Plateau United. “Plateau United will also pay N1m being N250,000 each to the assaulted match officials as compensation + any additional expenses for their treatment. “Plateau United will also pay a N1m each for throwing objects onto the field of play, encroachment after the match & bringing the league into disrepute. “Plateau United will play its next 3 home matches at the Ilorin Township Stadium. “Plateau United shall forfeit 3 points from their accrued points should they breach similar league rules in the course of this season. “Plateau United are also required within 7 days to identify and ensure the apprehension and prosecution by relevant security agencies of one Attahiru Babayo named by the match officials for leading the assault. “Failure to ensure that Attahiru Babayo & other culprits are apprehended & prosecuted will lead to Plateau United paying a fine of N25,000 per day until the culprits are brought to book. Earlier, the club had denied the allegation through its Media Officer, Albert Dakup describing the report as baseless and an attempt to tarnish the image of the club. “Plateau United is a law-abiding club and will not indulge in acts capable of bringing the Nigeria Professional Football League or Nigerian Football to disrepute. “It is on record that since they got promotion back to the top flight three years ago, no any match official(s) have been molested either at the Rwang Pam Stadium or the new Jos stadium.